Corto Moltedo is the latest Italian luxury accessories obsession, seen in almost every street style stars' hands during fashion week. I got a chance to interview the designer, Gabrielecorto Moltedo, whom carries design and style in his veins as the son of Laura and Vittorio Moltedo, founders of Bottega Veneta. 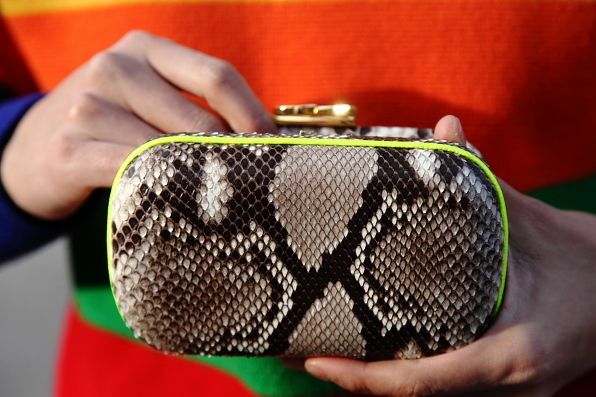 In likes of Anna Dello Russo, Anya Ziourova, Eleonora Carisi and many more, Corto is certainly this year's must have. And here is a glimpse of Gabrielecorto's universe of fashion. Silvia Siantar: When you come out with collections season after season, is there a specific woman you design for, or does she evolve with every collection? Gabrielecorto Moltedo: My creations start as practical objects, it is the way and the places that they are used that define them. But I can say that the Corto woman is sophisticated, elegant and original; like my creations. Sometimes I design for Mom, sometimes I design for friends. Who is your ultimate design muse and what would you design for him or her? GM: My Muses are Alicia Rountree and Bianca Jagger. What is your favorite piece of the collection so far and it's strongest elements? GM: My favorites are always changing. 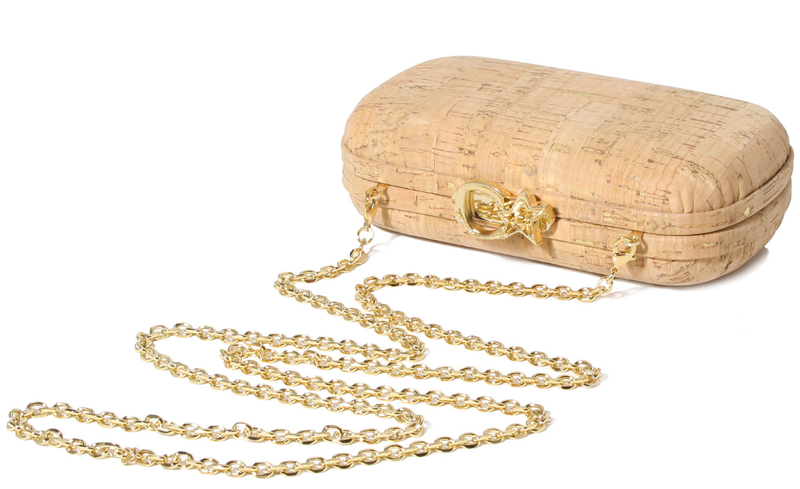 My favorite today , is the “Susan Cork” (pictured below) as it is made out of cork material with a gold sheen coming from inside the material. I love the juxtaposition of the two. But I always love my "Priscilla" bag, the tote that folds over and turns into a shoulder bag , easy and effortless. It's hard to choose a favorite design as they all come from edit after edit, and in my eyes are the best of what I have to offer. As your designs are popular within the street style community, with the help of the internet you can reach a very wide audience worldwide. How important is bloggers and the social media to you? GM: Since I’m not doing any institutional advertising, my marketing and communication strategies have been based on word of mouth, bloggers and social media are fundamental to me. I think that nowadays, no brand could possibly let apart the web aspect of communication. Furthermore I’m very lucky because I have a great relation with bloggers, big international blogs such as Bryan boy, The Blonde Salad or Garance Doré have been supporting me. But what I love most is being in contact with local bloggers when I travel for my private previews arotnd the world. 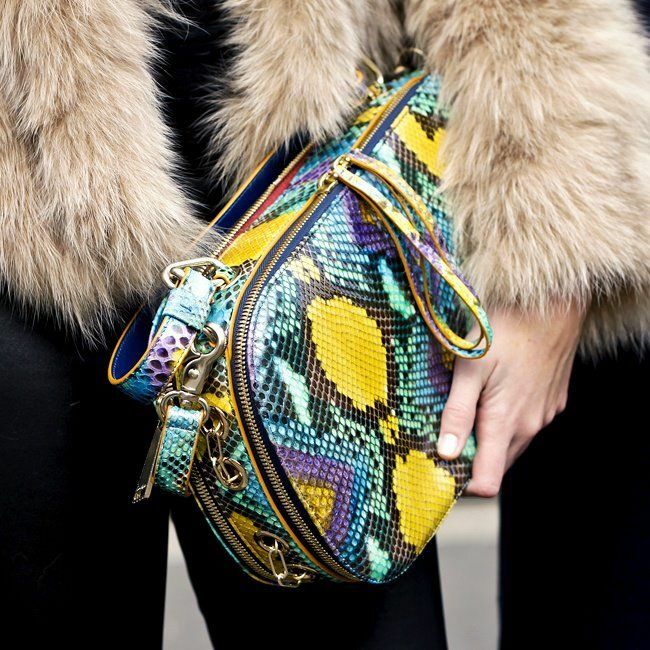 What is the most valuable fashion advice you have ever received? GM: Seek your own style, be independent and stay chic. What are your fashion rules to live by? GM: There's rules in fashion ? Corto Moltedo invites you to a very exclusive private preview at the Marina Bay Sand hotel on the 26th, 27th and 28th of April, during this very limited time their collection will be on sale for the very first time in Singapore. RSVP by April 20th to Erika Swan at singapore@corto.com.